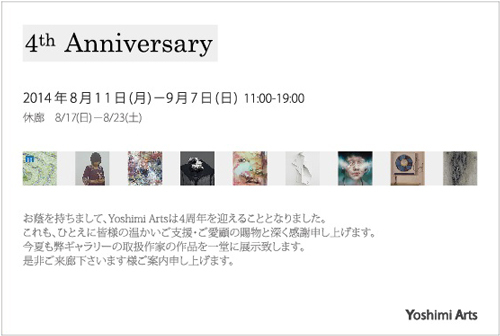 Yoshimi Arts will ceｌebrate its 4th anniversary. Thank you very much for all the support and patronage you gave us. We will exhibit the works of our gallery artists in this summer too. We are looking forward to welcoming you to this exhibition.